As we age, our bodies and minds change, and so do our daily needs – not just in terms of nutrition and exercise, but in terms of activities designed to promote physical and mental well-being. In the past, residential care facilities focused on treating chronic illnesses, providing for basic nutritional needs, and looking after some social needs. Today, the best residential care facilities for seniors do much more, encouraging senior residents to take part in scheduled activities that help them to maintain alert, independent lifestyles. Endurance activities: Aerobic activities help keep physical endurance at its peak, and include exercises that increase heart rate and respiration. Some examples are brisk walking, dancing, biking, rowing, and swimming. Balance exercises: Balance exercises help improve strength and maintain the body’s equilibrium, helping to reduce the risk of falls. Strength exercises: Strength exercises improve muscle tone and help seniors feel good about their bodies’ ability to function. Easy strength exercises include lifting light weights and using resistance bands. Flexibility exercises: Toning and stretching the body helps improve mobility and circulation while promoting independence. Besides providing many direct benefits, physical activity can help seniors manage or reduce the impact of chronic conditions such as arthritis, osteoporosis, heart disease, and diabetes. In addition, staying physically active can help improve mood and stave off the depression that often sets in when a senior moves into managed care. By choosing a facility that promotes regular exercise, you help your loved one preserve his or her physical function, which in turn will allow him or her to do as many everyday activities as possible while retaining independence and keeping dignity intact. 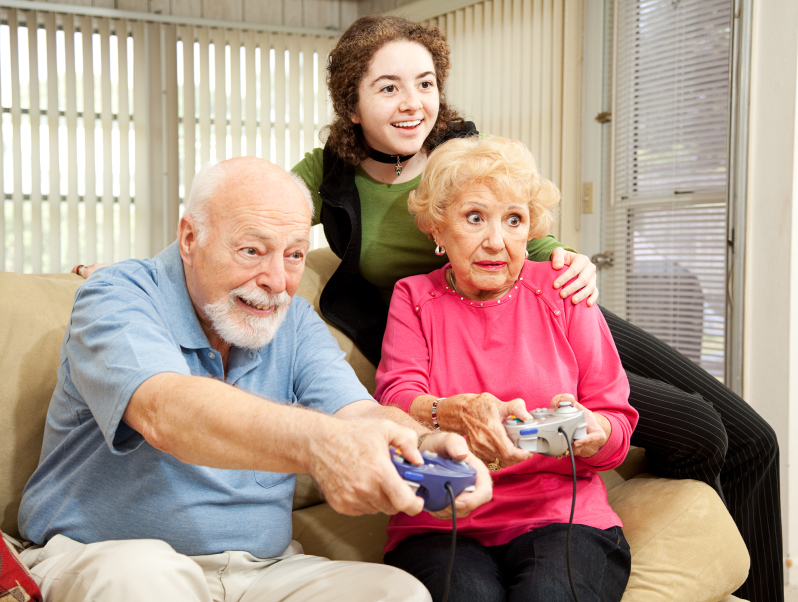 Aging minds must remain active and mentally stimulating activities such as Sudoku, crossword puzzles, chess, card games, and board games can help. Physical activity helps seniors retain memory and promotes overall mental function as well, promoting blood flow to the brain and stimulating the release of important feel-good chemicals that help to decrease the risk of debilitating depression. Choose a senior care facility that offers its residents the opportunity to take part in a wide range of such activities, both on-site and off. You’ve heard the saying before: Laughter is the best medicine. Research has now proven that this is true, not just because laughing often helps to prevent sickness, but because it boosts circulation, reduces stress, and may even help to reduce the risk of heart disease. Fun therapeutic activities that promote laughter can help seniors stay their healthiest. If you are looking for a residential care facility for a senior loved one, look beyond basics. Doing so will help ensure that your special someone is able to continue enjoying life in a safe, nurturing environment. Can you post something about what all should be considered while selecting an assisted living facility for seniors? 2017 © Navita Residences. All rights reserved.